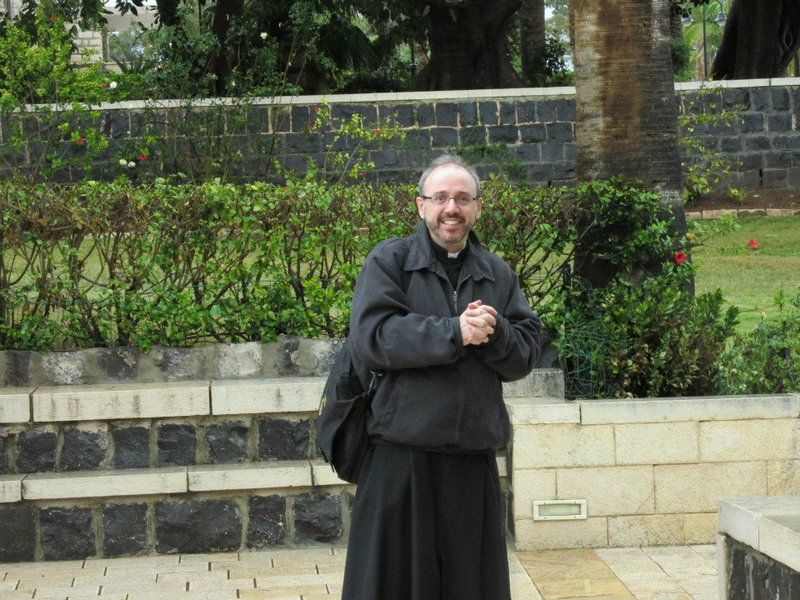 We started with Mass at Beatitudes overlooking the Sea of Galilee. The excellent homily is here. A nice hour drive north to the Lebonese border with Fr. James Conlon telling his vocation story. 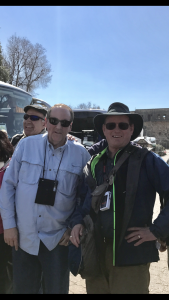 We arrived at Caesarea Philippi where Steve gave his talk and “Peter, the Rock, the Keys & the Chair.” And here we met Governor Mike Huckabee. From there we ate lunch at a Druze Restaurant. Back to the Sea of Galilee we visited the place where Jesus multiplied loaves and fish before arriving at the Primacy of Peter were Steve gave his talk St. John chapter 21. We had two hours of free time at our hotel on the shore of Galilee before going to one of the finest restaurants in Israel for an elegant dinner. 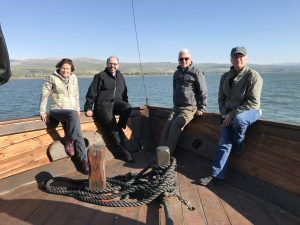 We started the day with Peter, James, Andrew and John on a boat going across the sea of Galilee he. It was a little windy and choppy but a genuine experience. The Mass at Capernaum was especially meaningful today. Knowing that Jesus had healed thousands of people there we had a special healing Mass with the Anointing of the Sick. Very touching. You can see the Homily and Anointing of the Sick here. I gave a talk to explain the site and then we went to eat St. Peter’s fish. Then we embarked on the ride south, but UP to Jerusalem. We stopped along the way at the place of the Visitation where we prayed another Mystery of the Rosary and I gave my talk about Mary the Ark of the New Covenant. Then we arrived at our beautiful Catholic Notre Dame Hotel where we settled in and had some free time and dinner. Tomorrow it’s all day Bethlehem! Bethlehem all Day! Christmas! Mass in a Cave! Dancing! All day in Bethlehem. Enjoy! Fr. James’ excellent Christmas homily in a Cave here. Watch the entire 90 min video below, or download the HD video file to a flash drive to watch on your widescreen TV. Holy Land Pilgrimage February 2017 from Steve Ray on Vimeo. This trip was sold out! Join Steve & Janet Ray along with Fr. 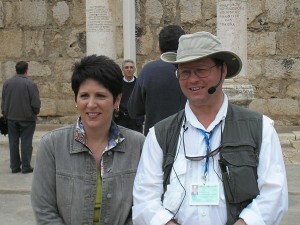 James Conlon, Pastor of St. Francis of Assisi parish in Ann Arbor MI and Teresa Tomeo of Catholic Connections (Ave Maria Radio, EWTN and Sirius Satellite). This Holy Land Pilgrimage is like all other Signature Footprints of God trips, known for excellent organization, leadership and teaching from pilgrimage expert Steve Ray, and smaller group sizes: we limit our groups to one bus to foster the closeness and intimacy you would expect of a top tier pilgrimage. This trip has a JORDAN extension–click HERE. This trip is also sold out.